If you've experimented with Web Services, you might have hit some Microsoft .NET based Web Services which return data all right, but it's in the default XML format from ADO.NET. So you end up with some XML but you have no clue what to do with it! This article explains how you can take this XML, make sense out of it and even display it in a DB Grid. I'm not going to explain much about .NET, or the ADO.NET XML format. What I'll talk about is the most probable case you'll encounter .NET datasets: as XML returned from a .NET based Web Service. 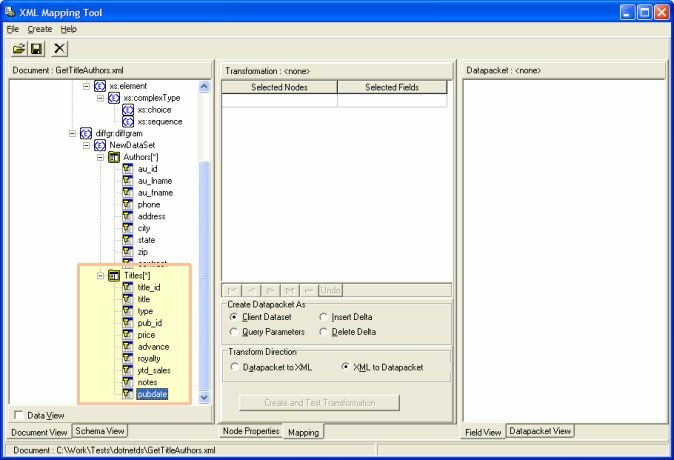 If you're going to use .NET datasets in some other way, you might want to read this article to get an idea of how to make your Delphi application aware of them. Note: we have changed this paper to use a different web service since http://services.pagedownweb.com/ZipCodes.asmx. is no longer working. 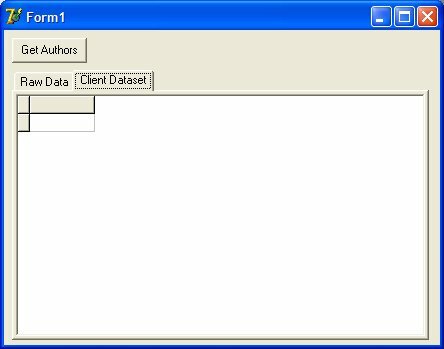 The GetTitleAuthors function returns a .NET dataset, as XML. Here, the schema of the ds class is simply the dataset as XML in ADO.NET's default format. This means that a .NET client could easily get this XML and show it on a grid or a form - but can we do this with Delphi? Let's see. We have to figure out how to get Delphi to USE this data. 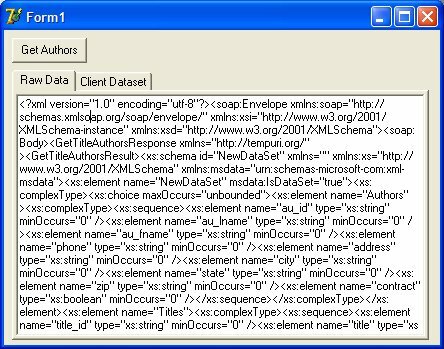 We would like to have a Client Data Set read the XML so we can display it all in a Grid. For that we'll have to use XTR transforms. No, that's not very complicated, and here's how we'll do it. 1. First we're going to save the XML returned into an XML file. I've saved it as "data.xml". 4. Save the Transformation using File | Save | Transformation, as "TitleTrans.xtr". Don't try to test the transformation yet. (There's a bug in Delphi Source code that doesn't like SOAP namespaces in the source elements so it doesn't show up any data). 6. We're nearly there. Drop a TClientDataset, a TXMLTransformProvider and a TDatasource on the form. Link the Grid, the Datasource and the ClientDataset, and set the ClientDataset's ProviderName to point to the XML Transform Provider. 7. 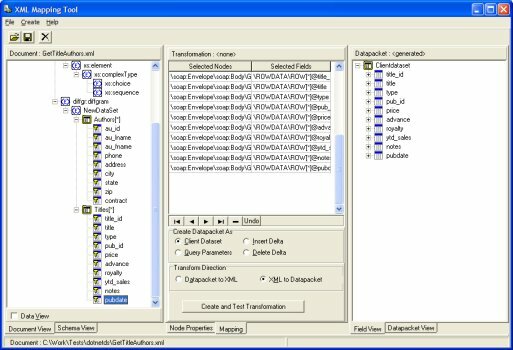 Set the TransformRead.TransformationFile of the XMLTransformProvider to TitleTrans.XTR. This transformation is very specific to this particular service and XML schema. SO if you know what XML is going to be returned (the format) then you can use XML mapper to generate a transformation for it. I haven't been able to write a "general" transform that can be applied to ANY .NET returned XML, but if anyone does I'd love to hear about it.